Hi there, do you know you can scuba dive between two continents? One of the top places to dive in the world, here’s where you can scuba dive between two continents. 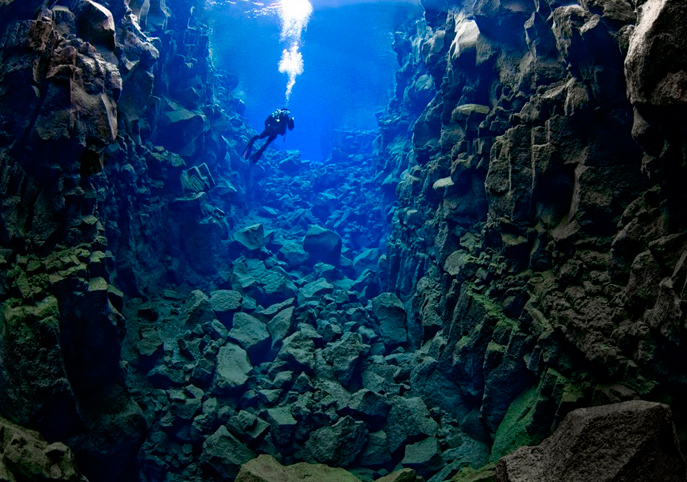 The rift of Silfra in Island Thingvellier Park is where the tectonic plates meet. Some rather diving, others just snorkeling. A very surprising thing is the visibility in the rift of Silfra, about 100 meters. All divers say they feel flying on space when they try this experience. The reason for this water visibility are that the water is really cold (2°C-4°C all year) that is also becomes ice for the close glaciar water of Langjökull and this water is filtered through porous inderground lava for 30-100 years until it reaches the north end of Thingvellir lake. This is water is so pristine that you an drink it anytime during your diving or snorkel! 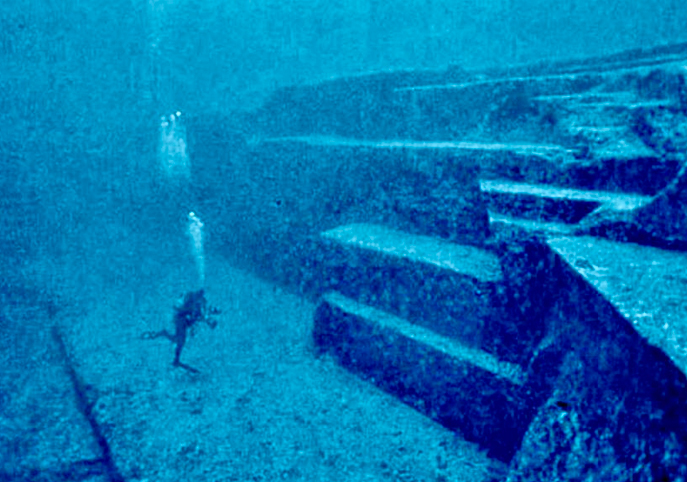 On the southern coast of Yonaguni, Japan, lie this mysterious ruins of long time ago. Some think alliens made them, others think is just a World Nature Wonder! 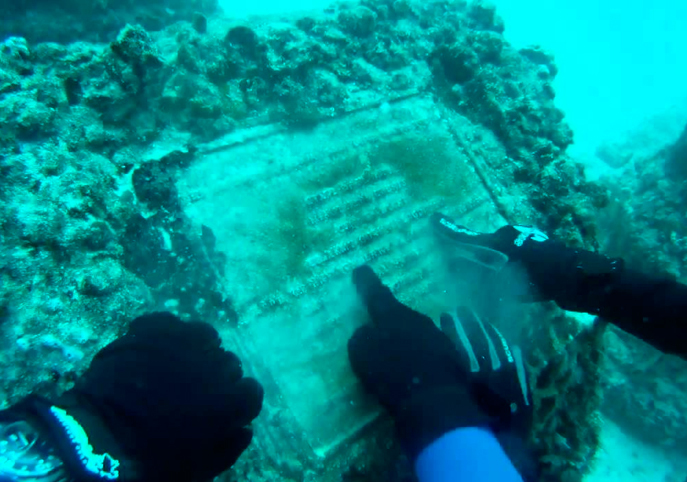 This mysterious ruins underwater continue attracting fearless divers! You want to see a volcano from close without the threat of toxic air and lava flows? Yes it can be possible and it can be done at Banua Wuhu! 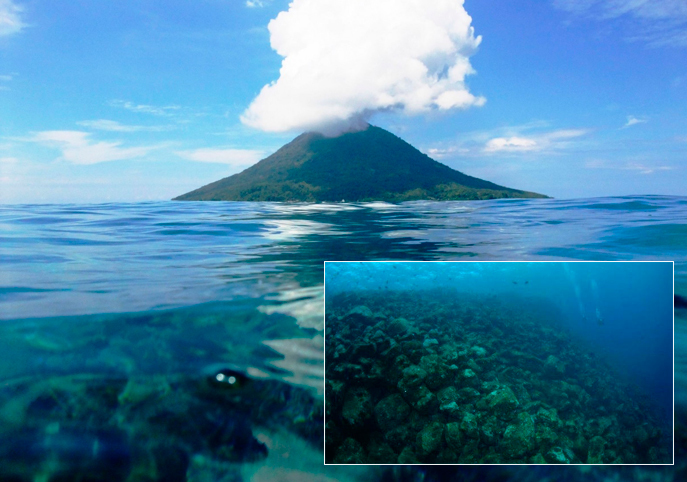 This underwater volcano rises more than 400 meters from the sea floor. Exotic animals like sponges habit here. There is a unique and diverse world here. You might think it is dangerous but no, the only thing that is a little uncomfortable it’s if you don’t wear the right dive suit. This is the one I’ve dived into, it was one of the best experiences. If you head to the Caribbean in Mexico. 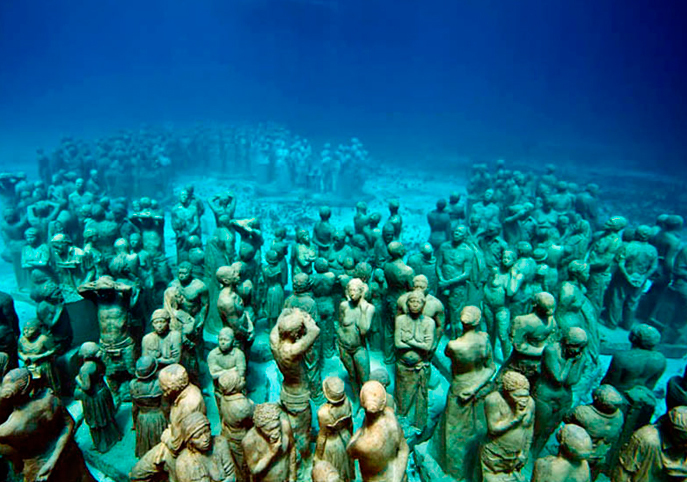 There is the MUSA, an underwater museum with more than 400 statues surrounded by marine life and coral reefs. Each statue has an eye formation to protect theirselves and the sea life. The moment you are there in front of one, you might feel a little nervous! A little more than 5 kilometers from the Coast of Miami, there’s this different diving experience and a little creepy. An artificial reef that becomes a CEMENTERY! It is a truly world like no other. This cemetery beneath the waves is a special spot that people can make their final resting place. Did you like this article? Thanks for taking the time reading it and it would help me if you share it with your friends!